For some time now, we've been getting acquainted with Tesla CEO Elon Musk's side project, The Boring Company, and its hole-digging robot, Godot. The ultimate goal for The Boring Company is to fashion a tunnel system underneath of the greater Los Angeles area that would allow owners of Teslas (and possibly other EVs) to circumvent the congested traffic in the area. Recently, it has come to light that Musk doesn't just intend for owners of vehicles to use the transportation, but also allow for public transportation to take place via its own electric sled. Tesla has planned to dive into ride-sharing for quite some time. 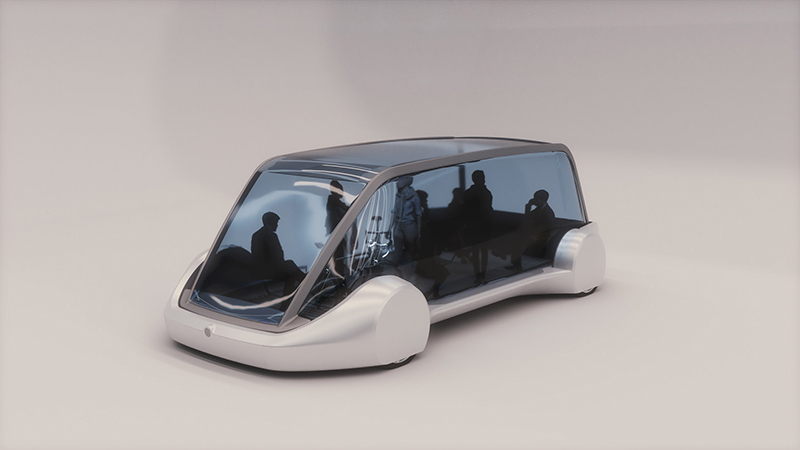 Many believed that this would be through either its possibly discontinued Minibus project or its very affordable Tesla Network; however new renderings supplied by The Boring Company show that the true potential is to use a variant of the electric sleds planned for transporting vehicles (shown below). The idea behind tunneling is to cut down on the time it takes to get around large cities where traffic congestion (something Musk reportedly hates) has become a problem. Musk had previously stated that the vehicles using the tunnels as a transit system could potentially shorten a 20 minute commute from Westwood to Los Angeles International Airport down to only five minutes, since the tunnels completely bypass traffic. Though in the past tunneling project have become devilishly expensive, The Boring Company is working to cut costs by a factor of "three to four times" by engineering Godot to be more efficient, as well as limiting the diameter of the tunnel to twelve feet. Cars would then ride on these electric sleds affixed to a central rail, preventing human error from needing a buffer. During the video teaser released by Tesla, another sled is briefly seen with a load of individuals on board. Is this the fabled minibus? Unlikely, as there is no safety standards in place here. 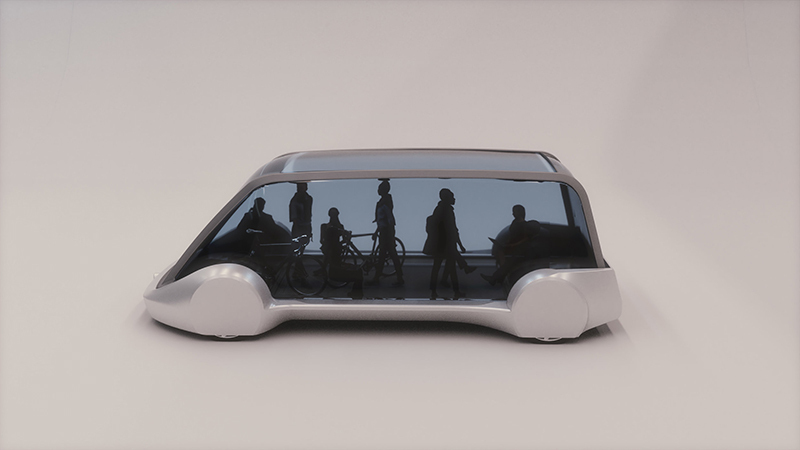 It is more believable that this will become one of Tesla's ideas for public transportation—a ride in this enclosure may be similar to a short bus ride across the city. 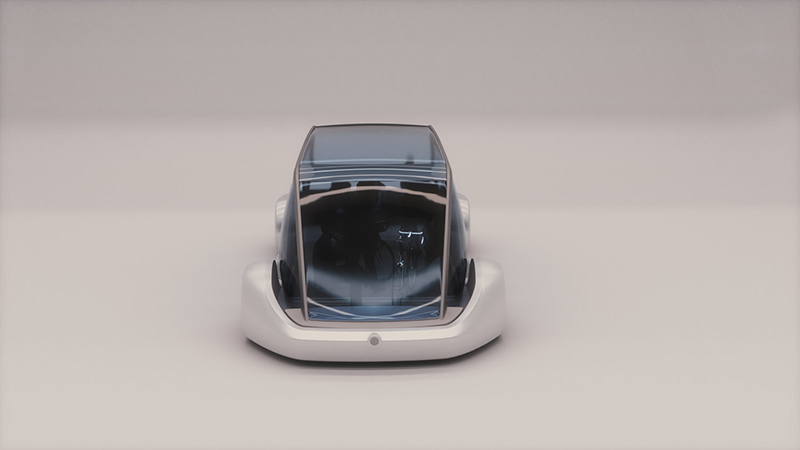 The Boring Company released several additional renders on their media section today, showing more angles of the sled. In 2016, the LA Metro (local and rail) boarded an estimated 114.6 million riders. The hopes that a ride on the sled will cost less that a bus ticket ($1.75) seems hard to imagine, as this sort of annual ridership—assuming each and every rider would switch—generates around $200.6 million per year. At the estimated cost of $250 million per mile (the hopeful cost to bore one mile per Musk's Ted Talk estimation, less the improvements to Godot's efficiency), it would fifteen months to fund the construction of a single mile at the same cost of a bus ticket, and 50 years to pay for the proposed 40-mile loop. This is of course assuming that Tesla and The Boring Company could supply the infrastructure for the volume. There has not been an announcement is EV drivers would have to pay to use the sled system, though it is not unlikely drivers will be willing to pay a convenience charge to outgo the traffic. The proposed solution to mass transit problems is not only implementing more mass transit, but also giving people a reason to use it. Without the incentive to travel via public transportation, the implementation of infrastructure can only go so far. Will The Boring Company give reason for locals and tourists to utilize this unique deliver system? Musk certainly believes so, and if it helps to alleviate traffic...so do I. Everything we know so far about the Model 3. The country wants to hit its goal of 100 percent electrification by 2030. Musk took to Twitter to discuss potential new features.